Winnipeg Moving on Moving the Rails – Should Hamilton Follow? 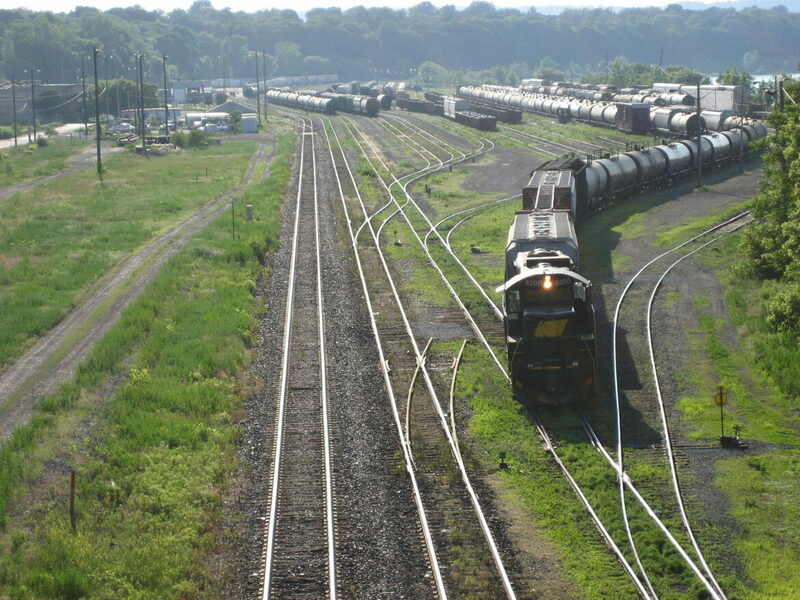 Is Winnipeg providing Hamilton a road map for how to move the CN Stuart Street marshalling yard? In Winnipeg, the first concrete steps towards moving the City’s massive rail line infrastructure is underway. A working group, which includes the railways, is putting together the necessary detailed study to submit to the Canadian Transportation Agency. The provincial NDP government, in their election throne speech, promises to back the “rail park” plan. BUT as Winnipeg Free Press columnist Dan Lett – who is the go to journalist on this topic in Winnipeg – says, this could be all for not as the provincial government is facing an election and could not return to government. “At this stage, it is impossible to avoid portraying any pledge from the Selinger government as part of the NDP’s re-election strategy,” Lett writes in his column headlined Premier plays politics with rail-yard relocation plan. Hamilton should watch Winnipeg’s process, as I wrote on The Public Record in May, Hamilton can use the same legislation to move the CN Stuart Street marshalling yard and Winnipeg is looking to take advantage of the promised new federal infrastructure money to fund the project – a funding source Hamilton could use for our own relocation.